Over the past 35 years, SsBA has refurbished and developed over 62,000 square feet of derelict and underused buildings around Spitalfields and created over 100 new managed workspaces.. 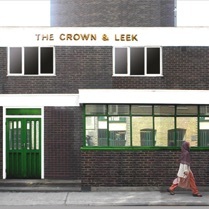 This onging and imaginative programme continues to help regenerate and revitalise this area of London. As a non profit making organisation, SsBA ensures that small local businesses and new start - ups have a fighting chance to thrive and survive in an increasingly competative market place which is so often dominated by large developers and monopoly organisations. 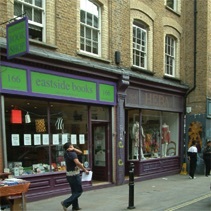 We currently have units in Brick Lane, Deal Street, Hanbury Street, Princelet Street, Spelman Street and Links Yard. 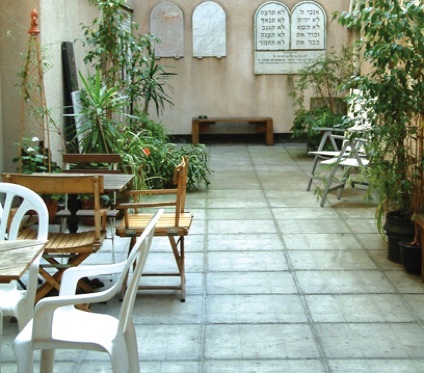 To check for availability or join our waiting list please click on "Applying for space"
In 1999 SsBA converted the disused and derelict Great Garden St Synagogue and offices to create a new centre that brought local business support agencies together under one roof. A number of organisations in the centre offer advice and support to business and the centre retains it's role as a vital facility and meeting place for the area. To check for availability or join our waiting list please click on "Applying for space"
Business Development Centre, Greatorex Street. 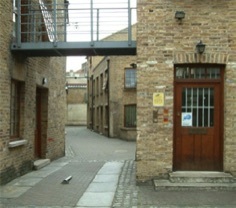 SAFE studios Started life as the Spitalfields Arts Project in 1990 and offered a large number of artists studios at Spitalfields Market until redevelopment caused us to move. 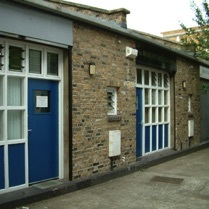 SAFE now occupies two Studio blocks on Greatorex Street E1, close to Brick Lane. One as a tenant of the Business Development Centre at 7 - 15 and another across the road at 12 - 14 as a tenant of Nobel House, within a newly developed student accomodation block. The Studios are available at affordable rents and a waiting list for tenancy opperates. 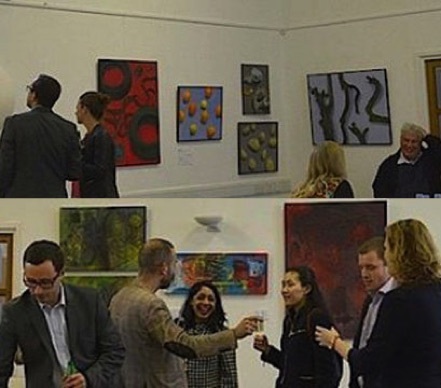 Artists wishing to apply for studio space should initially contact Edith on 0207 247 1892 and supply an up to date C.V. SAFE Studios is a Limited Company and a Registered Charity.